Are your students working on a research paper, but struggling with plagiarism and citing sources? Well look no further! This easy-to-follow guide will walk both you and your students through the process. 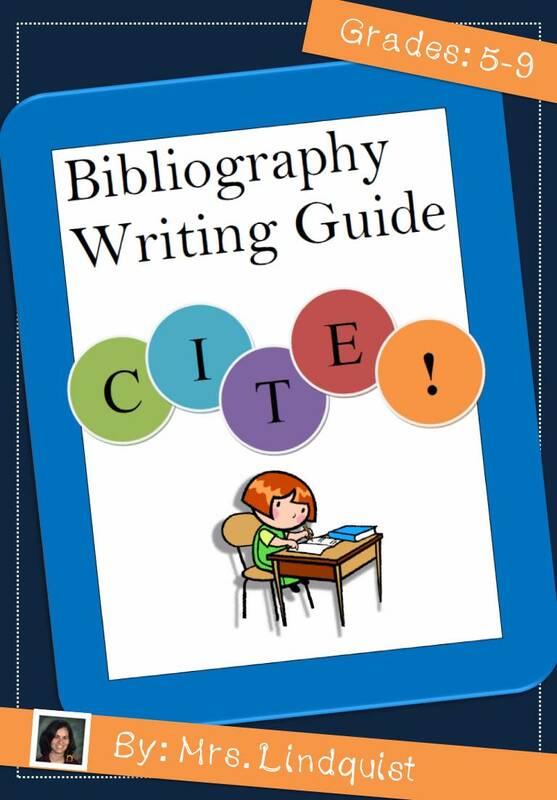 The Bibliography Guide helps students understand the basics of plagiarism, the importance of citing research, and how to write a bibliography. In about one week (give or take depending on grade and prior background experience), students should have a basis for how to make their own bibliography and why it is important to cite sources. The Guide provides graphic organizers for students to complete as they go through the research process. All their information will be in one place!